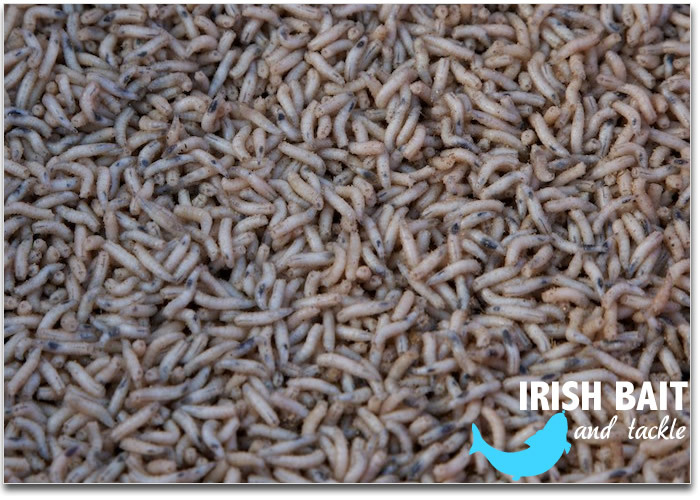 Maggots are absolutely essential for successful fishing in Ireland. 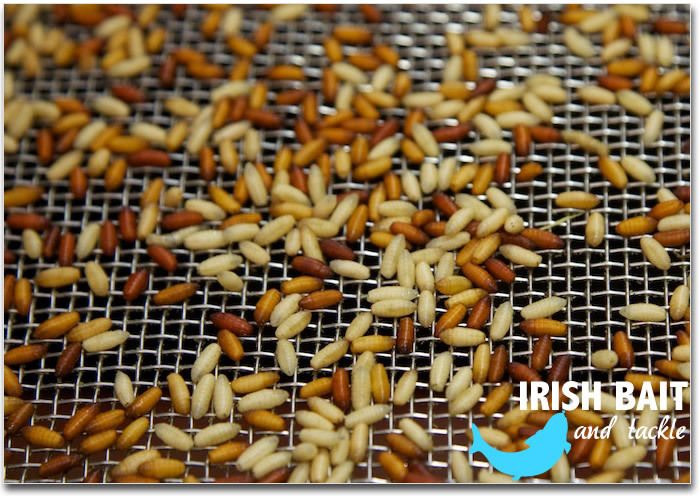 Like everywhere else in Europe, they will tempt just about every fish that swims and are particularly useful at the start of a fishing session to make a few bites and search out a swim. 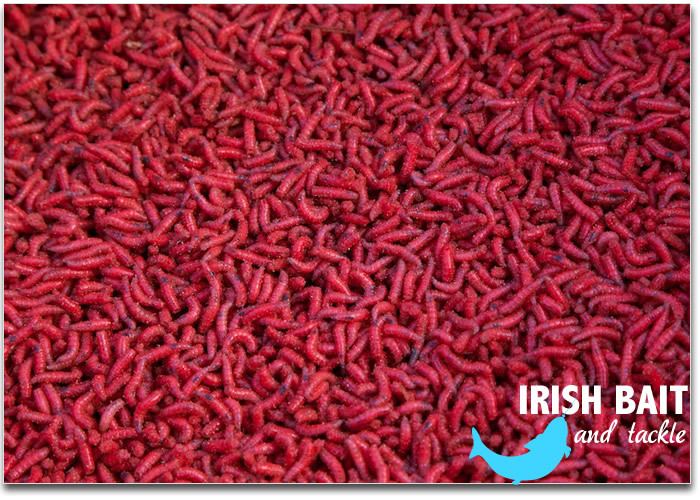 Red are the most popular and our regular customers usually request some white maggots so that they have a change of hookbait. A typical order for each angler staying and fishing for a week will be two gallons of red and a half-a-gallon of white. 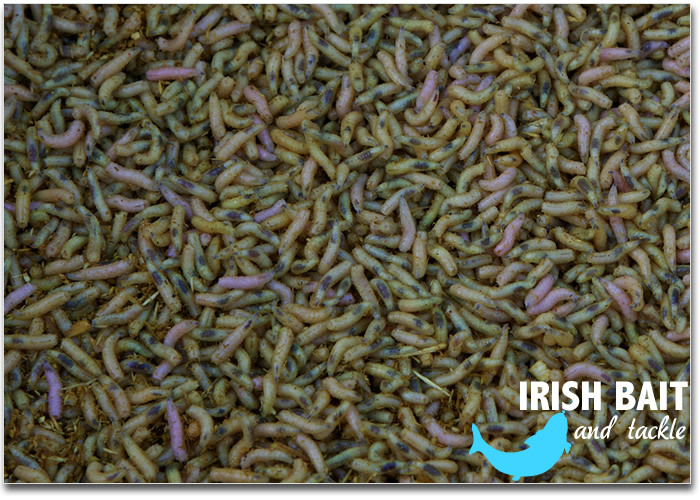 Do order extra maggots if you intend to become involved in pre-baiting. A tip for first time visitors: Start on a size 14 hook carrying two or three maggots and work up or down from there, deciding on the size and species of fish and response. CASTERS are a great alternative hookbait and invaluable for groundbaiting. It is a well known fact that casters help to catch a better stamp of fish and certainly a double-caster offering is very likely to produce a large hybrid, bream or tench. 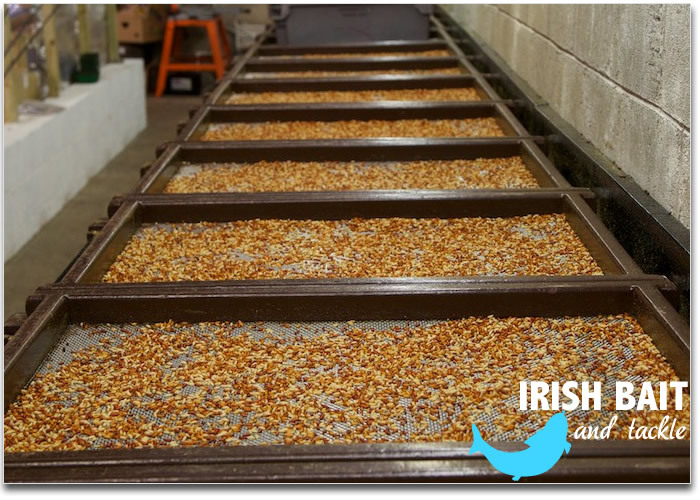 To make the most of your Irish holiday, we recommend that you seriously consider ordering a gallon of casters for the week; they will have a big impact on your results. A tip for first time visitors: Think ‘double and triple’ when it comes to using casters as hookbait and bear in mind that a single caster is ideal to tip a worm or piece of corn on the hook.